As a Greek writer once wrote, “Affairs are easier of entrance than of exit; and it is but common prudence to see our way out before we venture in”. The same might be said about technology start-ups needing to have an exit plan. In order to attract VC investments, start-ups have to entice with an exit strategy. Most VCs seek 10x potential return on each company given the risks involved in any given portfolio fund. On average it takes 5-7 years before an investor can realise their investment. You don’t need Amoo to say how long that is. 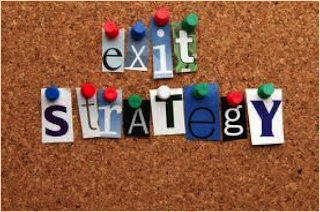 It goes without saying if an entrepreneur and investor are going to be strategically working together an exit strategy should be well thought of. Exiting through an IPO or a trade sale are the more common routes executed by venture capitalists and entrepreneurs. An IPO is when a company sells part of its equity to the public and becomes listed on an exchange. A trade sale on the other hand involves giving full control of the company to a secondary buyer, who typically is a larger player in the same sector as the start-up. The main difference between the two is the cost and regulatory fillings necessary. A UK analogy would be creating a limited liability company (IPO) versus operating as a sole trader (trade sale). A topical example is the pending IPO of the social game developer, Zynga with the founder expected to hold 37% of the voting right. The IPO allows early investors to exit and realise their return but also gives the founder larger firepower to improve the business in terms of money raised. The choice of exit route depends on the level of involvement the founding team wants to have. This year we’ve seen some of the biggest tech IPOs receive mammoth valuations prior to listing. Unfortunately the same sentiment hasn’t been reciprocated in the markets. The global IPO market in the third quarter as reported by E&Y, had the same number of deals as the previous quarter but the amount raised was lower. The uncertainty in the market has led to many start-ups delaying their IPO plans. The technology start-ups that went ahead with their IPO like LinkedIn, the professional social network, valued at 2B USD when issued saw its share price soar past a valuation of 6B USD on its first day of trading. Its value has still maintained its momentum. Others like Groupon (GRPN:US) and Pandora (P:US) were not as lucky. Pandora’s shares were issued at 16 USD but are currently trading around 10.43 USD. Groupon was valued at 12.8B USD at issue with shares soaring on the first day. However that has been short lived with the shares dipping below their offer price of 20 USD. Though the share price has recovered slightly above the issue price, it has taken a beating in the market. On the other hand, we have also witnessed several high-level trade sales in the year. A recent example was when NICE-Systems, a company trading in the NASDAQ (NICE:IT), acquired Fizzback, a customer relationship feedback platform based in UK, for a value of 80M USD. Fizzback at the time of the acquisition was a leading company in customer feedback with milestones including 150 million data points collected annually. The exit not only allowed both the investors and founders to get good returns but also an opportunity to move on to the next best thing. As the founding CTO simply put it “The acquisition with NICE will take Fizzback to the next level due to NICE’s resources”. Another notable trade sale took place a few months back with the surprise acquisition of Skype by Microsoft for 8.5B USD. The deal proved to be a sound exit strategy for investors such as Index Ventures and Andreessen Horowitz as they only paid 2.75B USD for Skype when they acquired it from eBay making 3X returns on their investment. Another notable trade sale was Twitter’s acquisition of TweetDeck, a "Silicon roundabout" aggregator platform that tracks real-time Twitter conversations, for around £40 million. Again as Schwienbacher, 2002, noted in her paper, empirical evidence showed that VCs preferred a trade sale to an IPO in the European market. Going public is more expensive and time consuming. What is evident is that both IPO and trade sales provide viable exit routes for investors and entrepreneurs. The key factors to consider before deciding an exit option are the macro- economic climate, the competition, business life-cycle, management goals and lastly but even more importantly the personal goals of the founding team and the level of involvement the team want with the company going forward. 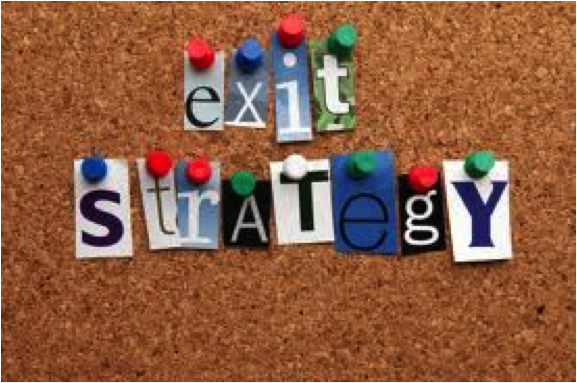 Those factors usually in most cases determine the exit strategy. It is also worth reading Anthony K. Tjan's article in HBR on the founder's dilemma. And as said in the beginning, if an entrepreneur has long term plans with the business and wants to continue to being involved in the business then going public is a better route. However if an entrepreneur prefers to develop companies at an early stage and has no passion for actively running the business then a trade sale would be the preferred option. In the end though both routes are likely to yield great return to stakeholders at point of exit. Finally as one of my favorite actors, Robert DeNiro, in the movie Ronin said, “Never walk into a place you don’t know how to walk out of”. The author has written an excellent article.Passbeemedia You made your point and not much to discuss. Everything has its exception. Everything is very open with a clear explanation of the challenges. It was truly informative. Your website is very useful. Thanks for sharing. Twin showers can be found wixsite.com/ in a mix of one fixed as well as Official Website one handheld head, heads installed one over the other, a large head Compound Miter Saw Showdown: 8 Tools, Tested and also a smaller head. you need to eliminate the thickest smore.com snow as well as ice up to 12 inches.Know More As the blower is created with a self-propelled feature, the Briggs & Finest 2 Stage Snow Blower|reviews Stratton moves with simply a touch of the deal. Remarkable seeing that now-a-days the flutist are merely a lot of as well as exceptionally phenomenal your blog could always come up with the ones that will feel about any degree almost the entire package might extremely persuade these individuals a large amount. Right now, please click at this point check cashing Thankyou a large amount. I must say I be thankful for your website, you might have accomplished the fantastic career. Thank you for your bunch of outstanding inspiring web site. Great submit! This matter these kinds of my partner and I seen have been actually successful with all the location that individuals are trying to find a long time. Currently follow-up wordpress website backups Bless an individual made for desirable post.